Galway is hosting the first ever Food and Technology Startup Weekend in Ireland! This is a fantastic opportunity to combine your love of technology and food, build a team, and launch a startup in 54 hours. This week, we are going to talk about 3 successful food start-ups in Ireland to inspire you guys in the lead up to our first ever food & tech startup weekend on the 8-10th April. So as mentioned by Olivia in last weeks blog. Dublin, Ireland-based startup FoodCloud is making waves globallybeing named as one if the top 10 FoudTech companies worldwide!! What a shout out to these amazing Irish female co-founder’s Aoibheann O’Brien and Iseult Ward who came together in 2012 to create #foodcloud when they were just students! Aoibheann and Iseult were named Ireland’s top young social entrepreneurs in 2014 and went on to the Google Adopt a Start-up Programme in 2015, this highlights the interest in #foodtech and why we should not be ignoring the potential for #FoodTech companies in Ireland! So what are you waiting for – have an idea? Want to be part of a team? Get your tickets here. Drop is a physical product – an iPad-connected kitchen scale shaped like a drop – and the recipe platform Harris mentions. Where it really gets clever is in the many ways you can interact with it while you cook or make cocktails. It is incredibly difficult to create a hardware start up that comes out of Ireland but that is exactly what Ben Harris, Jonny McCauley and Jack Phelan have done with their connected weighing scales. Any company that can get their product stocked in Apple retail stores is onto something massive. Founded by Dr Nora Khaldi, Nuritas is creating controversial waves in the food scene by combining artificial intelligence with molecular biology. Nuritas is building a food database to identify peptides — certain types of molecules in food products — that could be used as supplements or new ingredients. This isn’t just adding protein powder to a shake. Instead, Nuritas is identifying various peptides that can change how a food reacts to the body. For example, in an interview with Tech Europe, its founder Dr. Nora Khaldi envisioned a cereal bar designed to control Type 2 diabetes, or a cream with added anti-aging ingredients discovered by the company. We love being inspired by Start-ups especially the ones in FoodTech! We would love to know which FoodTech start up inspires you! We are excited to see what happens when you put techies, foodies, designers and business development gurus into a room together for 54hours! 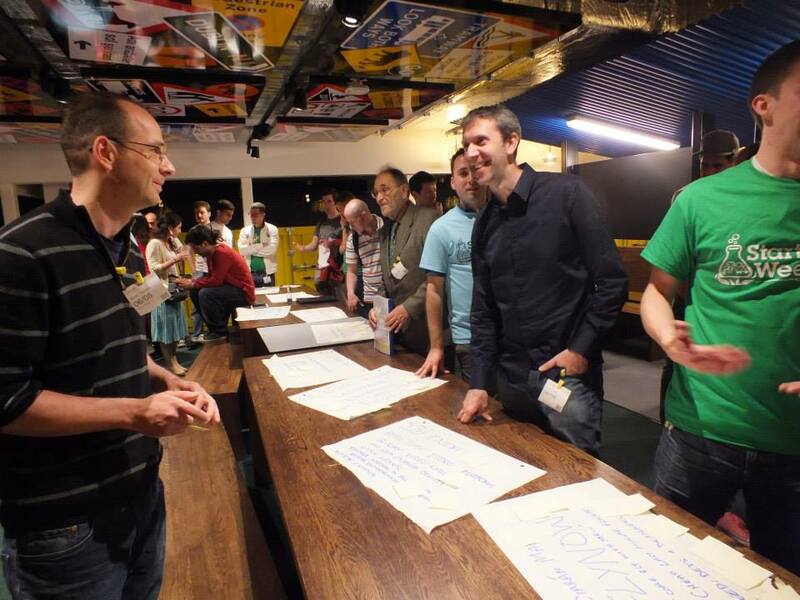 So get your ticket to the first ever food & tech startup weekend in Ireland. Find out more about Startup Weekend Galway at:http://www.up.co/communities/ireland/galway/startup-weekend/8220. The Local Enterprise Office in Galway is headed up by an entrepreneur, Breda Fox. One of the initiatives they run is the food academy programme. Last year, 10/10 of the companies on this made it through to the shelves at SuperValue. That’s aside from the ongoing events like the one last Monday in our Michelin starred restaurant Loam, where 30 high quality local food producers met everyone there is to meet in the food industry. We also have the likes of Cait Noone and JP McMahon bringing 40 world famous chefs to Galway to speak over a two day symposium at Food On The Edge. All speakers are chosen for their innovation, passion and influence on today’s food culture and it shows in the impact the 2015 event had that lead to bigger plans for this year’s event. There’s something happening with food, and with Galway, and with the great startup ecosystem we have. That’s why I’m so delighted that Bank of Ireland are powering Ireland’s first food and technology startup weekend, supported by LEO and hosted in SuperPixel Labs. The weekend is happening from April 8th — 10th, and although we have some free tickets in the workbench, most tickets can be gotten on the website, or through Twitter or Facebook at ‘galstartweekend’. The registration of €45 covers all food and drink for the weekend, mentorship and many creative surprises. Startup Weekend Galway is owned by local community leaders who run this in their spare time, in this case, Ashlee Chin of IMS, Erika Miklos of Ex Ordo, Keith Farrell of BiteSize, Oggie Hollywood of SCCUL Enterprises and Olivia Lavelle of LingoHost. The goal of Galway Startup Weekend is to build connections among the startup community and the food experts in the region, providing the space and time for collaboration on innovative projects. On Friday you come in and meet the organisers. We get you some great food and give you a shirt with a colour for designer, developer, or general. We generally do ‘Half Baked’ then, where we give everyone random words and you pitch an idea that forms from those words and the brainstorming of the group. Then it’s onto the real stuff and you pitch the idea you want to work on in 60 seconds (this part is optional). Using super techy sticky notes, votes happen on the best ideas, the best 10 pitch again and then teams are formed with different skill sets. On Saturday we bring in some great mentors across tech, design and business. You have all the support you need to build, build, build which leads us on to Sunday. Sunday is more building and then pitching to a panel of judges, winning some great prizes and finally celebrating a great but challenging weekend! In terms of ideas, go as big as you can. When the BOI innovation team dropped by London’s food Startup Weekend, ideas ranged from better ways to label food, to finding restaurants that suit allergies, to ‘FoodWizard’ which makes your fridge smart to help you know what’s in there and what delicious meals to make. I’ve organised 4 startup weekend’s now and facilitated one. It’s not about coming in on Friday and running a startup on the Monday, although you will have more than likely built a product, it’s much bigger and much longer term. The first mentors I had at Startup Weekend Dublin for that short weekend in 2013 have stayed with me over the years, and I can quite confidently put the majority of good decisions I’ve made since down to them. You absolutely will not regret attending it, and if you’re unsure, feel free to contact us and drop by for an hour or two. Last year, Ogie did that after seeing the updates on Twitter and he loved it so much he’s co organising it! Luca Boschin is the co-founder and business leader of LogoGrab. He has extensive expertise in the development and commercialization of computer vision technologies. 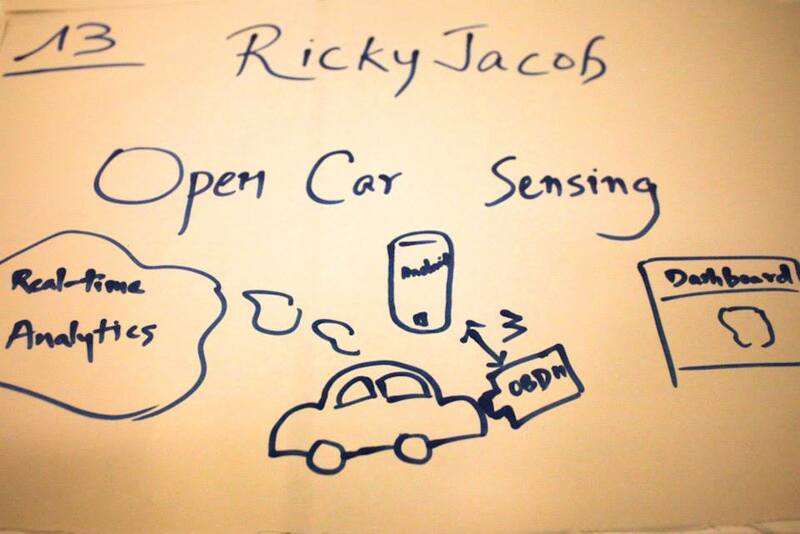 It was great to have him touch on an important part of the Startup Weekend experience – Branding. Q. Can you share tips on coming up with a brand name for an idea/product? Regardless if you are a tech company or selling cupcakes your first stop is domaintyper.com. If you ever want to scale forget of any name for which .com is not available (some businesses could get away with other extensions such as .io). If you really wanna use a name anyhow at least be sure that no big player is using it and you’ll have the chance to buy the .com one day or the other. It is also important to base your brand name on something that is relavant to your business – your actual product, a feature of it, your creativity, or anything that shares in a way or the other what you do or who you are. Finally, keep it simple, and make it as easy to remember as possible. Q. To what level should [prospective] consumers be involved in brand development? When you come up with a name / logo design you can make some simple polls to be sure prospective consumers would like/understand the name. An easy way to do it? Prepare and copy/paste a message to 50 friends or so via Facebook messenger asking if they like/understand the name/logo. Make it simple, so to drive them to a simple yes/no answer. The answers should guide you to an educated choice if you wanna proceed with that name/logo or consider working on it a bit more. This is how we actually did it at LogoGrab when we redesigned our logo. Q. How can a team at #SWDub decide on a branding in the shortest possible time? Again, for your name brainstorm with the with team in front of domaintyper.com. Write a list of each name you like (or sort of like, it will help to keep going) and for which the domain name is available. Keep brainstorming for 10 minutes maximum and then choose your favorite candidate off the list. When we started LogoGrab we decided our name in 10 minutes or so. However, it does get a little harder when it comes to logo but you can also think of / edit your logo at a later stage. At LogoGrab we re-designed our logo 1 year after launch. I wouldn’t be so concerned about a cool logo at this stage. One tip, regardless: come up with an icon that fits in a square, in case you ever have to do an app. Many thanks to Luca for taking time out to share these branding tips. You can catch him on twitter at@LucaBoschin. He’d also be around mentoring and coaching teams at the Startup Weekend Dublin. 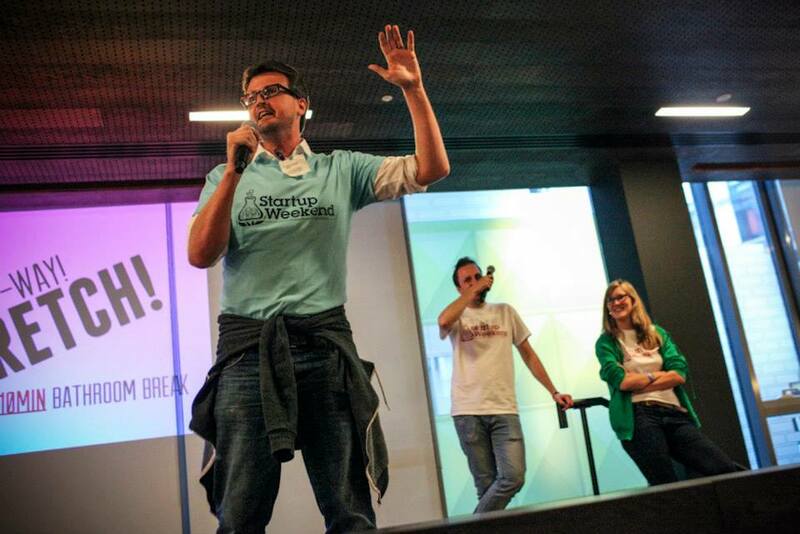 Do share and stay tuned for the next post in the #SWDub Mentor Series. Crowd favourite: Hours – a tool to enable part-time workers to find out their hours and to assist employers with scheduling them. They won our lovely Galway Startup Weekend larger-than-life 3D foam logo. Third place: Arrow – an app that will help you find your way to an airport gate, with countdown notifications and handy tips along the way about where to eat, get wifi / plug in, etc. Flynn O’Driscoll will provide a legal health check and advice to the third place team worth €500. Second place: What Paws Around – a site to help owners of dogs that have particular needs to find resources if, for example, they are travelling and are away from home. Delphi Adventure Resort have sponsored a team building day and overnight accommodation for the second place team worth around €750. First place: FriendShip It!! – facilitating shipping price sharing by friends who are interested in reducing the high shipping costs for individual items through paired purchasing on sites like Amazon, but also allowing local suppliers to jump in and deliver an order cheaper/faster. Galway Technology Centre are providing a fantastic office package for the winning team which is worth €2500 over 12 months. We want to thank our sponsors, without whom it would have been very difficult to make this weekend happen. Our Platinum Sponsor was Bank of Ireland; thank you so much for your support this weekend. We thank WestBIC, Storm Technology, Vulcan Solutions, and Flynn O’Driscoll, all of whom were Silver Sponsors. We also thank our In-Kind Sponsors: the Galway Technology Centre, Blacklight.ie, the Radisson Hotel and Spa Galway, JE Cairnes School of Business and Economics at NUI Galway, ITAG – the Information Technology Association of Galway, HP, Snap Happy Studios, Delphi Adventure Resort, and Smyths. We had a great team of mentors helping the teams over the weekend: Dave Barry, Alan Burke, Mark Campbell, Mike Conroy, Dorothy Creaven, Declan Droney, Keith Farrell, Tom Forde, Donncha Hughes, Ian Knight, Damien McCoy, Laura Myles, Greg Osborne, Mark Quick, and David Ryan. We also want to thank Adam Haun – Senior Regional Manager with Startup Weekend / Up Global – who is based in Seattle and joined us for this event. Thanks also to Eli David from StartupBlink and Michelle Clarke of HeadUpMate who gave inspirational and useful talks to attendees. We also had a great massage option for our startup team members and organisers from Mobile Massage Galway, and some tasty SMRT orange / cocoa bars from James Cunningham. Dave Cunningham from Counterweight Ireland / Yoga Shala and local incubator StartX6 calmed things down with a yoga session for all attendees on Saturday at 4. I’d like to thank all of my fellow organising team who put in a huge effort to get us ready this past weekend and in the run-up to it: Michael Campion, lecturer in the JE Cairnes School of Business and Economics at NUI Galway, who were also the venue hosts; Tara Dalrymple, founder of Mission Possible and Busy Lizzie; Michael FitzGerald, founder of OnePageCRM; Paul Killoran; founder of Ex Ordo; Noemie Martin-Pascual, Marketing and Product Manager at Ex Ordo; and Laura O’Connor, who is a recent Masters in IT graduate from NUI Galway. Thanks also to Gene Murphy from Startup Ireland who spurred us on, rang us regularly, and kept us on track with his support. We also want to thank our great team of volunteers who helped all throughout the weekend right up until the last empty cups were tidied away: Ciara Deane, Ciara Loughnane, Darren Kearney, Emily Mannix, Jane O’Connor, Paul Mulhern, Rose Barrett, and Tom Murphy. Thanks also to the staff of NUI Galway – security, caretakers – and also to the nice people at Friar’s Restaurant / Café Togo for the fantastic food and service. Go raibh míle maith ag TG4 (Sinéad agus Ian) don phíosa ar an nuacht dé Sathairn faoin Startup Weekend anseo i nGaillimh. And of course, thank you to all the participants who have worked so hard this weekend. We had people joining us from Bologna in Italy, and even from far-flung Dublin and Kilkenny! It’s worth nothing that we had about 33% women taking part in the Galway Startup Weekend, and we are particularly proud to see an improving ratio of women to men, given the traditionally-low numbers of women (around 15%) at recent large tech events. The leaders of the first and second prize teams were women, and all three of the judges’ prizes went to teams that had women as members. We had six fantastic judges: Aideen Bergin, Senior Business Manager from Bank of Ireland; Ollie Daniels, who is the recently-appointed CEO of the national Insight Centre for Data Analytics; Breda Fox, head of the Galway Local Enterprise Office, and I also found out recently one-time director of The Point; Paul Gilson, a serial medtech entrepreneur who has raised over 60M of venture capital, and is currently CSO of Novate and Veryan Medical; Maurice O’Gorman from the Galway Chamber of Commerce, who until recently worked for 22 years in capital markets in the Middle East; and Barry O’Sullivan, CEO of Altocloud and former SVP at Cisco, who is also one of the judges on RTÉ’s Dragon’s Den. Their valuable time was very much appreciated. We hope you all enjoyed the weekend, and we look forward to seeing you again at the next Startup Weekend event in the West!